California Internet, L.P. (U-7326-C) dba GeoLinks (“GeoLinks” or the “Company”) respectfully submits these comments on the Assigned Commissioner Ruling Setting Workshops and Seeking Comment on Eligibility for and Prioritization of Broadband Infrastructure Funds from the California Advanced Services Fund (“ACR”), issued July 11, 2018. Pursuant to the email ruling from July 26, 2018 by Administrative Law Judge Anthony Colbert extending the response date for the ACR to August 8, 2018, these comments are timely filed. Headquartered in Camarillo, CA, GeoLinks is nationally recognized for its innovative Internet and Hosted Voice solutions. The Company’s proprietary ClearFiber™ product utilizes a combination of terrestrial fiber optic backhaul, carrier-grade full-duplex fixed wireless equipment, and FCC licensed spectrum to deliver ultra-reliable high-speed broadband Internet access via radio waves. GeoLinks is proud to service the largest coverage area of any single fixed wireless Internet service provider in the state the California. 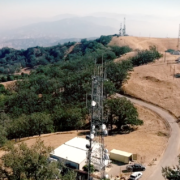 As a competitive broadband provider, GeoLinks is constantly seeking opportunities to expand its ever-growing fixed wireless broadband network to reach areas that are unserved by incumbent broadband providers or lack access to fiber connections. 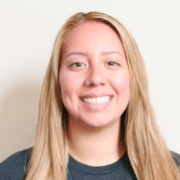 The Company hopes to leverage its expertise in connecting unserved areas of the state to apply for California Advanced Services Fund (“CASF”) funding in the coming year. Currently, ineligible census blocks are largely determined by a service provider’s claim(s) of serving households within such census blocks and information indicating subscriptions within these census blocks. However, not all households within such census blocks may have broadband internet access service (broadband service) available to them. Given the potential overstatement of ubiquitous availability within census blocks, should a census block only be CASF-eligible if the subscription rate within that census block is less than 40% of all households? We propose that a census block is considered served, if a majority of households in that block subscribe to wireline or fixed wireless Internet service. What should the CASF challenge process look like? Which trigger(s) should be used to start the challenge process for a CASF application? Which trigger(s) should be used to end the challenge process for a CASF application? Should the Commission create a single definitive list of CASF-eligible census blocks and a pre-application eligibility-map challenge process, as AT&T proposes? (See Opening Comments of AT&T on Phase II Staff Proposal, filed April 16, 2018, pp. 9-11). Regarding the measurement of broadband availability, GeoLinks agrees with the assessment that under the current reporting process overstatement of availability is a possibility. While some providers may truly offer service to every household within a census block, others may offer service to only a small subsect thereof (i.e. one household or one street). In both cases, the whole census block would be deemed “served” for the purposes of CASF grant availability and broadband availability mapping. GeoLinks sees no value in the current “all or nothing” availability determination process and supports the suggestion set forth in the ACR that a census block should only be deemed “served” if availability within that census block meets some minimum percentage. Specifically, the ACR suggests a 51% subscription threshold, which was modified to 40% in the July 25th workshop, to measure whether a census block is eligible for CASF funding. As an initial matter GeoLinks cautions the Commission against conflating “subscription” with “availability.” Subscription is not an exact measure for broadband availability as there are more factors than just “where infrastructure is” that dictate whether a consumer chooses to subscribe to the services offered. That said, GeoLinks does not oppose the 40% proposal and believes that use of a subscription rate may be useful in incentivize existing service providers to improve their service offerings if they sense a threat of subsidized competition. Specifically, it may encourage them to either increase broadband availability within the census block or ramp up broadband adoption efforts to increase subscribership. 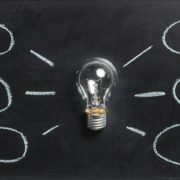 In either event, GeoLinks believes that this will help the Commission towards its goal of ubiquitous broadband access. 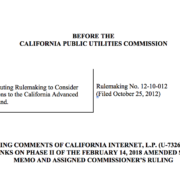 Should the Commission adopt a benchmark subscription rate by which to determine whether or not a census block is eligible for CASF funding, GeoLinks urges the Commission to add this information to the California Broadband Map as a separate layer. This will allow service providers interested in CASF funding to assess all census blocks available for funding. Regarding the challenge process, GeoLinks does not oppose the 21-day challenge process proposed in the Phase II Staff Proposal (“Staff Proposal”) set forth in the Amended Scoping Memo and Assigned Commissioner’s Ruling (“Scoping Ruling”), issued February 14, 2018, which would be triggered upon the filing of an application. The ACR also specifically asks about AT&T’s proposal, as set forth in its Opening Comments on the Staff Proposal. While GeoLinks does not oppose some of AT&T’s suggestions, on the whole, GeoLinks does not believe AT&T’s proposal is in the best interests of the CASF program. AT&T proposes that the Commission create “a definitive list of all CASF-eligible census blocks each year before applications are submitted.” While GeoLinks sees value in having a definitive list of eligible census blocks, the Company does not support the concept that this list will only be updated annually. As GeoLinks advocated in its opening comments on the Scoping Ruling, there should be more than one CASF application period per year. Specifically, GeoLinks explained that a bi-annual submission process will incentivize more service providers to participate in the CASF program than a single, annual submission window. Unlike larger companies that may have their fiber builds planned out a year or more in advance given the time associated with deploying and undergrounding fiber, smaller companies that utilize other technologies, such as fixed wireless, may have more flexibility to take on projects throughout the year. Moreover, because these smaller companies may have finite network design and deployment resources to dedicate to large builds, a bi-annual application process will allow these companies to determine if the latter portion of the year is better for network project. AT&T’s proposal would mean the creation of one static list that would not necessarily be updated as service providers may, independently of the CASF program, improve their networks. While this would make the challenge process more streamlined, it could also mean providing CASF subsidies in areas where broadband becomes available after the creation of the list OR could lead to disincentivizing independent network investment in areas that are CASF eligible. GeoLinks strongly urges the Commission not to limit CASF applications to one time per year as this structure only serves to benefit the larger carriers. In addition, while GeoLinks supports the idea of a definitive list of CASF-eligible areas, the Company believes that this list should be updated more than once a year. If the Commission were to establish such as list as a means for challenging CASF grant applications, it must be updated regularly to ensure that new served areas are not subsidized. What should the challenger have to prove (household subscription rate and broadband service speed) during the challenge process? What information should be required of the challengers to an application, other than what is currently proposed in the Staff Proposal? What information should be required of challengers to determine eligibility as indicated on the California Interactive Broadband Availability Map (as proposed by AT&T)? Could such a pre-application eligibility map challenge partially or entirely replace the post-application challenge? If yes, explain. Is the 21-day staff proposed challenge window timeline and challenge criteria also sufficient for the eligibility-map challenge process? Should the challenges vary by technology? (e.g., should the burden of proof for a fixed wireless Internet service provider submitting a challenge be different than that of a wireline provider?) Why or why not? As stated above, GeoLinks generally supports the challenge process set forth in the Staff Proposal. In addition, GeoLinks believes that the 21-day challenge process is sufficient for challenging Broadband Map eligibility, as well, so long as all interested parties are notified when the map is updated and the 21-day process is not triggered until notice is provided. Whatever challenge process the Commission decides on, GeoLinks asserts that challenge rules (and all CASF rules) must be technology neutral. As GeoLinks explained in its opening comments on the Scoping Memo, the Commission has made clear its stated goal of administering the CASF program on a “technology neutral” basis. However, despite this mandate, both the Staff Proposal and now the ACR make recommendations or ask questions that are definitively not technology neutral. Specifically, the Staff Proposal proposes per household cost thresholds for ministerial review that differ so drastically by technology type that it gives fiber-based projects an inherent advantage. Now, in the ACR, the Commission asks whether challenges should vary by technology and asks if the burden of proof should be different for fixed wireless providers. GeoLinks strongly argues that the answer to those questions should be a resounding no. As an initial matter, the ACR does not explain what this different burden of proof may be or provide any information regarding how a challenge by a fixed wireless provider may differ from a challenge by a traditional, wireline provider. Fixed wireless providers can provide all of the information that would be required in the Staff Proposal’s challenge report including the geographic location of all served households. Moreover, fixed wireless providers submit Form 477 data to the FCC and supplemental mapping data to the Commission that can be compared to and concurrently mapped with data provided by wireline providers. Without clarification, GeoLinks fails to see the need for or benefit in requiring a different standard for fixed wireless service providers that would not be required for other providers. GeoLinks urges the Commission to adhere to its mandate to administer the CASF program on a technology neutral basis to avoid creating an unfair advantage for one technology type over another that would only serve to thwart interest in the CASF program. GeoLinks supports the idea of prioritizing areas that the Commission or certain stakeholders believe to be priority areas for CASF funding. While GeoLinks does not have specific areas or census blocks that it recommends be listed as priority areas at this time, the Company requests that if such lists are created that they be updated regularly to account for completed CASF projects, changes in broadband availability, changes in priority levels and/ or demographic information, etc. This will ensure that the areas in the most need retain priority status while others that may no longer meet the criteria for priority status are downgraded. Specifically, GeoLinks recommends that these areas be reviewed and updated annually based on updated broadband mapping data and input from broadband consortia groups, municipalities, and other interested stake holders. Provide an expedited review process to approve supplemental grants to expand CAF II-related projects? Should there be a separate process or set-aside of funding for these supplemental builds? Should supplemental grants be tied to the release of CAF II plans? Should areas where CAF II providers do not commit to build out be reclassified as eligible? How should the interests of the CAF II providers to choose which CAF II areas they build out to with federal funding while also requiring them to complete other projects in the state) be balanced with competitor interest in bidding to build out in those same communities? 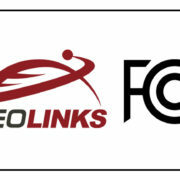 As GeoLinks explained in its opening comments on the Scoping Memo, in adopting any rules related to the treatment of Connect America Fund Phase II (“CAF II”) recipients, GeoLinks urges the Commission to remember that these recipients made commitments to the FCC in exchange for receipt of CAF II funds. Specifically, these providers agreed that in exchange for the model-based support they would “deploy voice and broadband-capable networks to all supported locations that are deemed ‘high-cost’ and not served by an unsubsidized competitor.” If a CAF II recipient fails to meet these commitments (either by only completing a portion of an area or not completing an area at all), the Commission should not allow them to game the system and benefit from CASF funding. Regarding areas where CAF II recipients will complete the requisite buildout, the ACR clearly points to the issue with CAF II funding – that the number of locations the CAF II recipient is required to serve does match the actual number of eligible locations in the same area. Inevitably, once the CAF II recipients have completed their commitments under CAF II, there will be gaps in broadband coverage. From a CASF funding perspective, these areas may still be eligible for subsidy under the 40% minimum subscription threshold. However, because finalization of CAF II obligations is not required until July 2020, this still presents the challenge of long delays before the Commission can address the issue. GeoLinks believes that information regarding where a CAF II recipient plans to offer broadband within a CAF II area is crucial in CASF planning and sees benefit in offering CASF incentives to CAF II providers who are forthcoming with this information. Namely, if a CAF II provider is willing to provide the Commission with detailed information regarding what locations within an eligible census block it plans to provide service to, pursuant to its CAF II obligations, then the Commission could offer the CAF II recipient incentives to build out to the remaining locations within an eligible area with CASF matching funds. In its opening comments, GeoLinks suggested a mandatory waiting period to apply for CASF grants for CAF II providers that bowed out of their FCC commitments. GeoLinks believes that a similar approach might be appropriate for CAF II recipients that choose (or not) to share information regarding its build out plans with the Commission. For example, if the CAF II recipient provided this information to the Commission within a specified timeframe from the date of the final Decision in this proceeding (as determined by the Commission), then GeoLinks would support the ability for the CAF II provider to apply for CASF funding on an expedited basis to provide service to the entire eligible area. However, GeoLinks believes that the incentives should diminish the longer a CAF II recipient waits to provide information to the Commission. Also, if a CAF II recipient declines to inform the Commission about its buildout plans, GeoLinks urges the Commission to preclude the CAF II recipient from being able to apply for CASF funding for any of its remaining CAF II eligible locations and open those areas up to other CASF applicants as soon as possible. How should the Commission verify that a middle-mile build included in a proposed project is “indispensable” to that project, as required by statute? Should Commission Staff rely on the middle-mile location information providers submitted as ordered in D.16-12-025? If middle-mile infrastructure already exists near the proposed project area, under what circumstances may an applicant build its own middle-mile infrastructure? If middle-mile infrastructure already exists near the proposed project area, should there be a limit on how much infrastructure may be built? (e.g., 10 miles, 5 miles, etc.) For purposes of grant funding, is leasing or purchasing middle-mile facilities for terms beyond five years (e.g., IRU for 20 years) allowable or even preferred over building new infrastructure? Alternatively, is a challenge to the project application sufficient to prove it is not indispensable, or a lack of a challenge sufficient to prove that it is? Access to middle-mile infrastructure is always integral to a proposed network build and broadband providers have to consider many factors when determining whether to attempt to interconnect with existing middle-mile or construct their own. These factors may include middle-mile proximity, circuit availability, circuit reliability, lease terms, topography, population, available technology, and, of course, cost. Regardless of the specific factors at play for a proposed project, they all must be weighed on a case-by-case basis. GeoLinks urges the Commission to consider the factors that CASF applicants will need to weigh and refrain from creating overly-restrictive rules that may hinder a service provider’s ability to complete a proposed project. As an initial matter, in GeoLinks’ experience, areas that are without high speed broadband connections are also generally without the infrastructure to provide high speed broadband. This includes not only last mile facilities, but middle-mile, as well. In these instances, middle-mile infrastructure is undeniably “indispensable” to a proposed project because, without it, there would be no project. Moreover, even if there is backhaul or middle-mile infrastructure close to a project area, it does not necessarily mean that it is accessible. 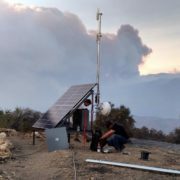 GeoLinks recently constructed significant last mile network in the Inland Empire area of California, a predominantly agricultural region that suffered from a lack of last-mile fiber infrastructure.  After 8 months of unsuccessful discussions with the regional incumbent Local Exchange Carrier to negotiate interconnection, GeoLinks was able to obtain interconnection from a reseller. In this instance, if interconnection had not been available from the reseller, last-mile connections to this area would not have been possible without the construction of extensive middle-mile facilities. GeoLinks asserts that in such instances this middle-mile infrastructure would have been indispensable to the project despite the proximity of other middle-mile infrastructure. GeoLinks suggests that the Commission determine whether middle-mile is “indispensable” to a project by requiring CASF applicants that propose to construct middle-mile as part of a proposed project to explain in their applications whether existing middle-mile options, if any, were considered and reasons why that middle-mile is either not a viable option or not cost effective. GeoLinks believes that this approach will achieve the Commission’s goal of only funding “indispensable” middle-mile infrastructure while giving network providers the flexibility necessary to determine the best approach to building robust, high speed broadband networks. Based on the foregoing, GeoLinks urges the Commission to consider these comments and implement final CASF rules that ensure flexibility for competitive carriers, technology neutral administration of the program, incentives for participation, and prevent gaming of the program to block competition. Assuming minimum speed requirements are met. Opening Comments of AT&T on Phase II Staff Proposal (filed April 16, 2018), at 9. Opening Comments of GeoLinks on Phase II Staff Proposal (filed April 16, 2018), at 8. See Staff Proposal at Section 1.7. Report and Order, Declaratory Ruling, Order, Memorandum Opinion and Order, Seventh Order on Reconsideration, and Further Notice of Proposed Rulemaking, 29 FCC Rcd 7051 (rel. June 10, 2014), at para. 60.